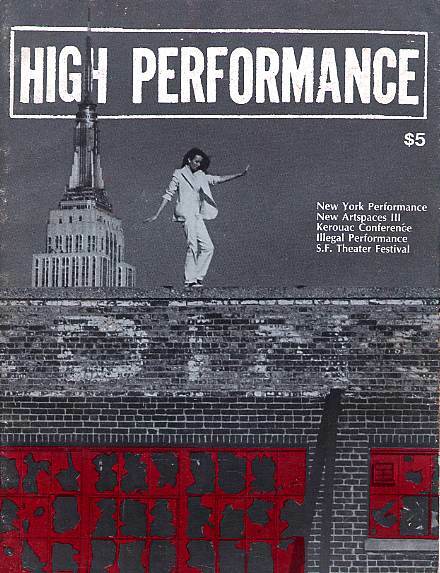 Special feature: New York Performance (Franklin Furnace, The Kitchen, A’s, Tim Miller, NYPADD, Judson Theater, Mierle Ukeles, Tehching Hsieh, Gina Wendkos, Eric Bogosian, Spalding Gray, Jill Kroesen, Beth Lapides, Theodora Skipitares. Other features: Artspaces III conference, Kerouac Festival at Naropa, Illegal Performance, Harvey Pekar, SF Theater Festival, Belgium’s Theater Banlieue. Poetry by Michael Ventura.